Kids Boot Waterproof Warm Lining fra Gulliver er et par støvler med foer til børn . 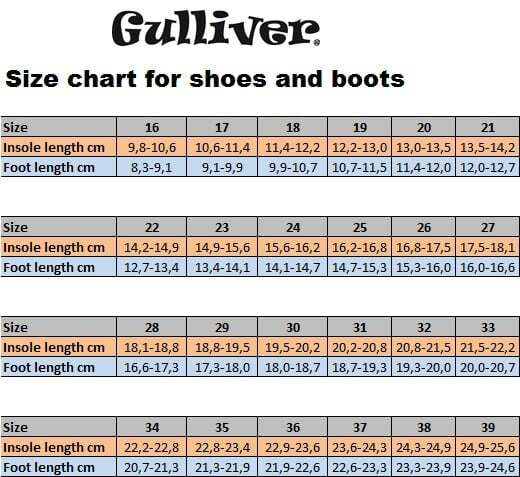 In Gullivers range you will find durable children's shoes from the first step! Gulliver has a wide range of shoes made of durable materials, adapted for play and mobility. Gulliver's shoes are characterized by a vibrant and sporty design.